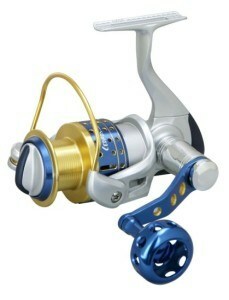 Okuma Cedros is reel specially designed for saltwater jigging. It is more of a cheap spinning reel, which means it belongs exactly into this kind of category where Okuma does best. We try to figure out in this review does Cedros manages to balance quality and price. Okuma Cedros has total of 6 models: CJ30S, CJ40S, CJ45S, CJ55S, CJ65S, CJ80S. Weight scale goes from 11 oz all the way up to 23 oz. 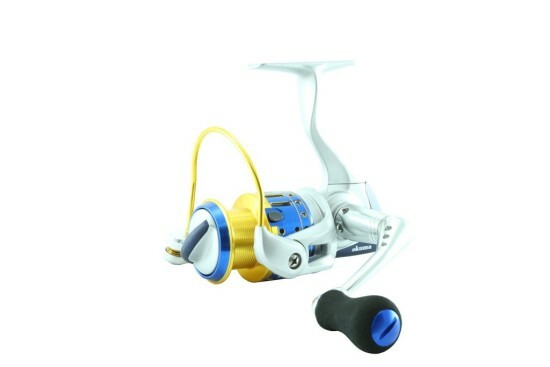 All these Okuma Spinning Reesls have universally high gear ratio, which means this reel is suited for vertical jigging and to another techniques that require a fast retrieve. But it is worth mentioning that latter two versions have gear ratio of 5.7.1 instead of 6.2.1. Max drag pressure starts from 18 lbs in first model and ends with 33 lbs in last model. Each model has 4+1 bearings, quite low actually. This was probably one of the concessions Okuma had to make in order to keep the price low. From all the models we can see that Cedros sticks to its high speed spinning reel motto like Daiwa Saltist . Some open face reels have different gear ratios on each size. On the other hand, there are reels where gear ratio stays approximately the same between the sizes. Nothing is wrong with either approach. Full List of Specifications Here! This is Okuma’s own solution to resolve one of the biggest open faced fishing reel problems. It is the critical 90 degree angle that line has to make when coming of the spool through line roller to the first rod guide. This 90 degree angle will put some line areas under pressure and may cause knots and weak points to brake. In order to avoid it the drag needs to be smooth as possible. That is what Dual Force Drag does best, it will use the empty underside of spinning reel do provide large secondary drag surface area. By increasing drag surface area , Dual Force Drag dissipates heat much more evenly. Lack of heat will contribute to much even pressure inside the drag system. This will help keeping the whole drag-system more stable. This technology will provide high density corrosion-resistant gears, that are made to put up with saltwater and other strains on internal gear system. All that without sacrificing the smoothness of brass gearing. Okuma Cedros turned out as quite decent, despite some doubtful thoughts in the beginning. It even managed to surprise us with some quite good technology solutions that even some higher price class reels could use. It is clear that this reel is exclusively made for high speed action techniques and will probably perform especially well in something like deep water jigging. This kind of direction is recognizable from all of Cedros parts: high gear ratio, narrow compact body and on top of that, some models even have customized jig handle. By remaining completely honest I have to state that Okuma Cedros will not feel as solid as something like Daiwa Saltist. They both serve similar purpose, but I would much rather trust Daiwa version when it comes to bigger fish. It is actually logical because Saltist is more of an higher end reel while Okuma is directed towards making cheaper spinning reels. Okuma Reels Cedros problem is not so much performance, but more of a ability to last long. It just does not have or at least it does not look like it has that solid saltwater proof construction that would put up with saltwater exposure for years. Cheap feeling when holding it between hands don`t really help the case either. All the negativity put aside for moment and considering the price factor. I feel like Cedros is valuable tool for jigging enthusiasts who are just starting out or have tight budget. 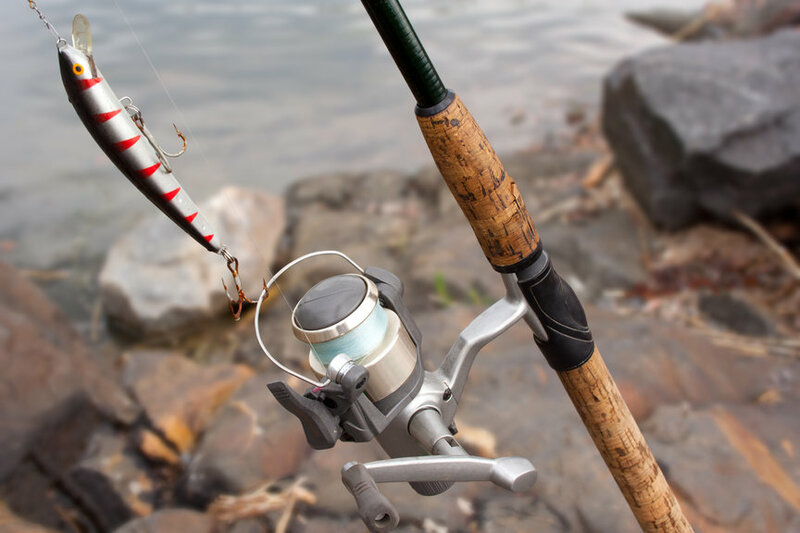 Buyers just have to accept the fact that you get what you pay for, something like Cedros may not be the best reel in market, but is definitely worth its low cost. Where Cedros ranks in our 16 reel comparison table? HI, I was surprised by this reel as I repair rods and reels for a living. I had a customer who found his reel days after losing it kayak fishng. The real other than sand only need a good cleaning and light lube. Very impressed with the gear quality vs the China Penn crap I see day in and day out. I usually turn away Okuma repairs as so many of them are old models with their terrible history. Okuma deserves credit for stepping up the bar. The dual drag systems reminds name of the Penn Torque but of felt instead of carbon fiber. And there is a minimum of small parts such as Shimano. I bought this reel a few weeks ago but am not sure what to pair it with. I was think a matching Okuma Cedros jigging rod, but I heard they were extremely heavy. I have the Cedros 65s reel, spooled with 300 yards of 40lb power pro. If anyone can give me a little insight on what to pair it with that would be great! 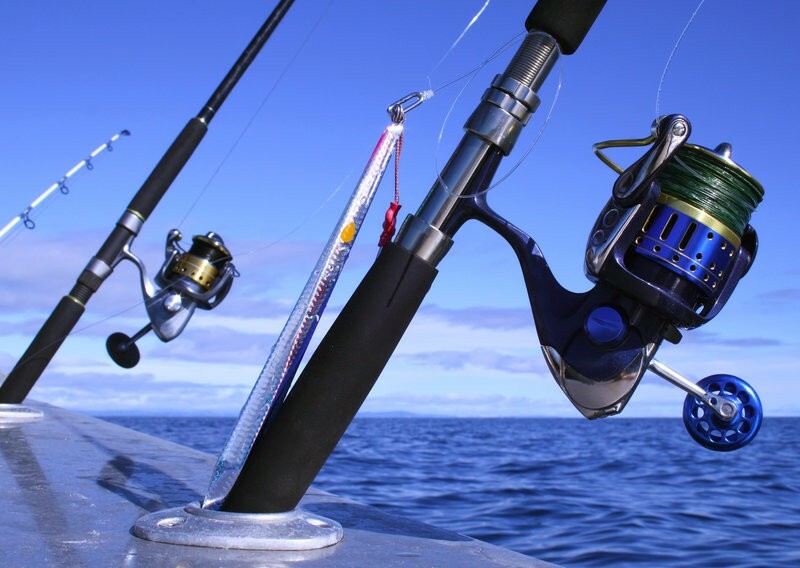 Do you know the capacity in yards for an Okuma Cedros cj 80 s with 65 lb. spectra? Thank you. Looks like 420 yards would be the max for that size braided line.